The first set of tickets for 2014 Glastonbury Festival have sold out. The 15,000 coach and ticket packages went on sale at 6 p.m. on October 3 and sold out in half an hour. The news was confirmed on Glastonbury Festival’s official Twitter page where people were also reminded that another 120,000 tickets for the festival will go on Sunday October 6. Prices for the 2014 event have been increased to £210 ($325) plus a booking fee. Last month, festival organizer Michael Eavis said they won’t beat this year’s festival. The Rolling Stones, Arctic Monkeys and Mumford and Sons headlined the event at Worthy Farm this summer. When asked about who would be headlining Glastonbury in 2014 Michael Eavis said people wouldn’t be surprised. “Pretty obvious isn’t it?” he said. “There aren’t many left. It’s the process of elimination isn’t it? There is speculation about who will play at Worthy Farm between 26 and 29 June next year. David Bowie is one of the bookies’ favorites to headline, an Oasis reunion and a set from Foo Fighters have also been rumored. 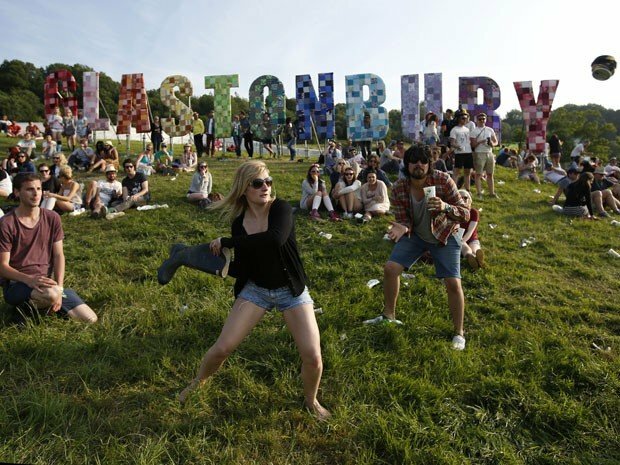 The remaining tickets for Glastonbury Festival 2014 go on sale at 9 a.m. on Sunday October 6.